Uh, I'm not the best person to ask for this because I never had the patience to track the nuances of when these colors where available when and for what model. It's the source of much debate! I definitely have seen a Plum SS performer and a burgundy Master Touch but I don't recall seeing the vice versa. Plum IS available for regular OT 18's and 22's. 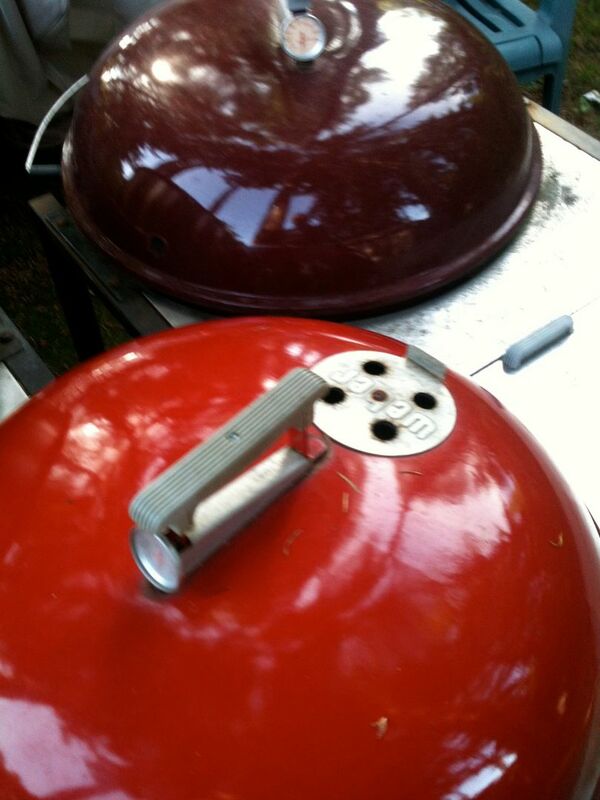 I believe the grill in the first post is a burgundy/maroon and NOT the plum/purple/aubergine/eggplant color. @pbe gummi bear I hear you. I now believe that either our documentation needs a review or Weber played fast and loose with their nomenclature. My SSP is called plum in our doc's, but it looks like the light burgundy of the later MT. Of course, the fruit plum comes in both burgundy and purple based on variety . In any case, that's all of the conjecture I can handle this late at night. word. We'll let the peanut gallery decide. 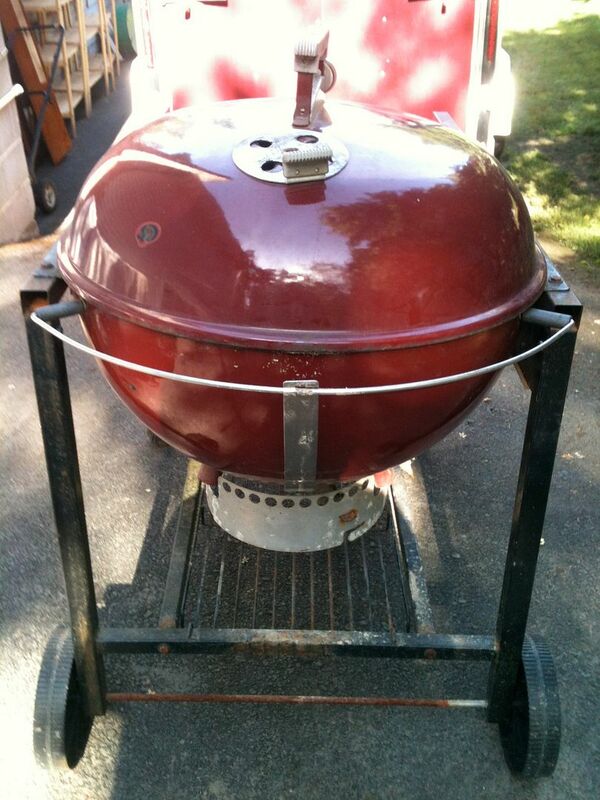 I get an e-mail from @SmokenJoe on the Friday of Memorial Day weekend with a link for a $60 Red SS Performer. I'm loaded up to help my teammate cook for a Baseball Tournament Fundraiser Saturday morning and there is no way I'm going to be able to get to it. 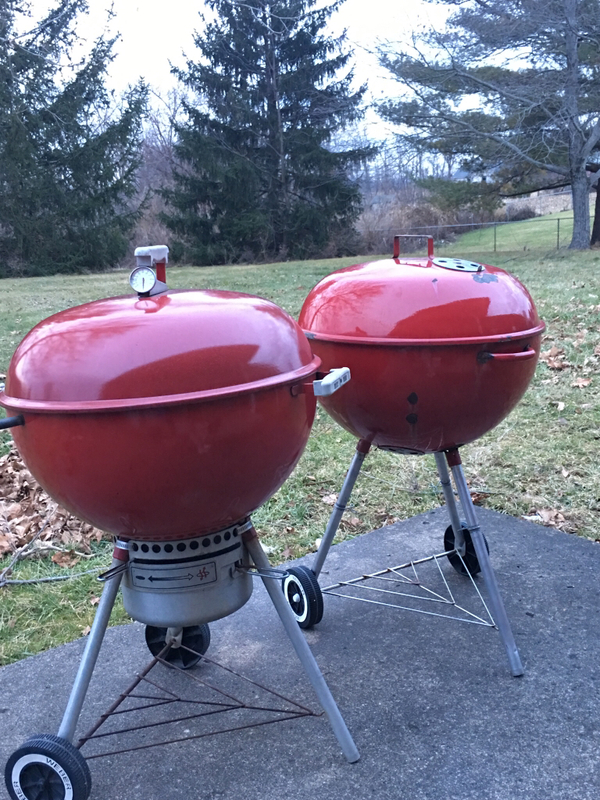 The craigslist post stated it was a one day sale from 9-4 with "no early birds". Kind of a downer! 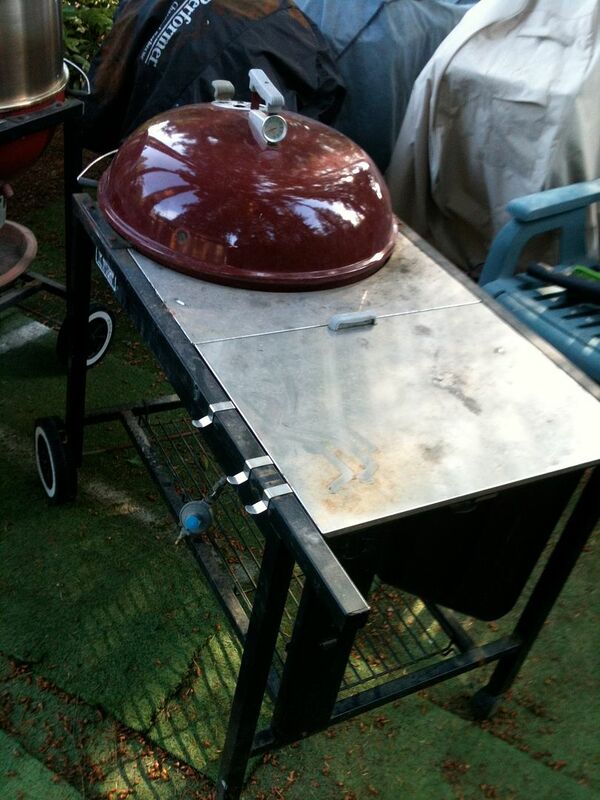 Wake up Saturday and my buddy Mark texts me and is already setup and smoking (nervous energy! ), so I find out the address is on my way to the Tournament and I swing by @ 8:15AM and I can see the Performer from the road with a couple guys huddled around it (DAMN Early Birds!). It is a junkyard lot with a couple storage buildings on the property and a few 1-800-GOT-JUNK trucks parked outside. 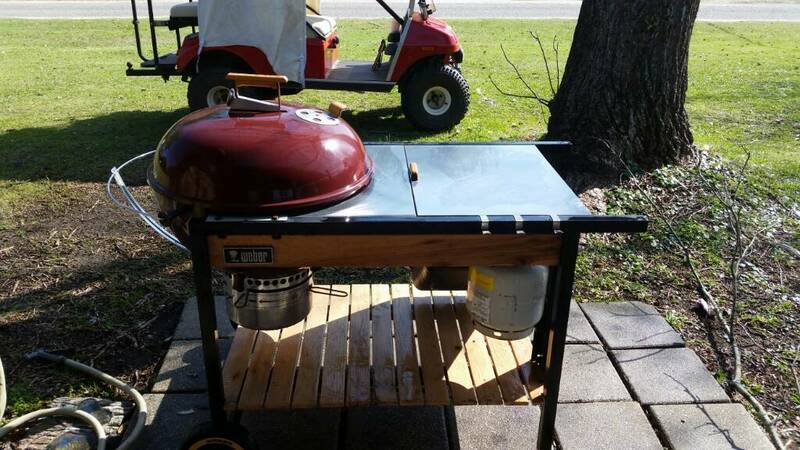 I get up to the grill and it turns out the guys around it were looking at bicycles, and I just bulldoze my way through and drag it near my SUV. The lady in charge of the sale came up and I shot her a lowball, but she had a list of items from the CL ad and stuck firm. I load it up and off I go to to the ball fields. Didn't think much of it, it sat in the car overnight, rainy overcast weekend, but it looked darker than my Redheads, and it sat next to my comp trailer (Maroon BTW) until Monday, and I'm really not getting the picture - its not a Redhead!! 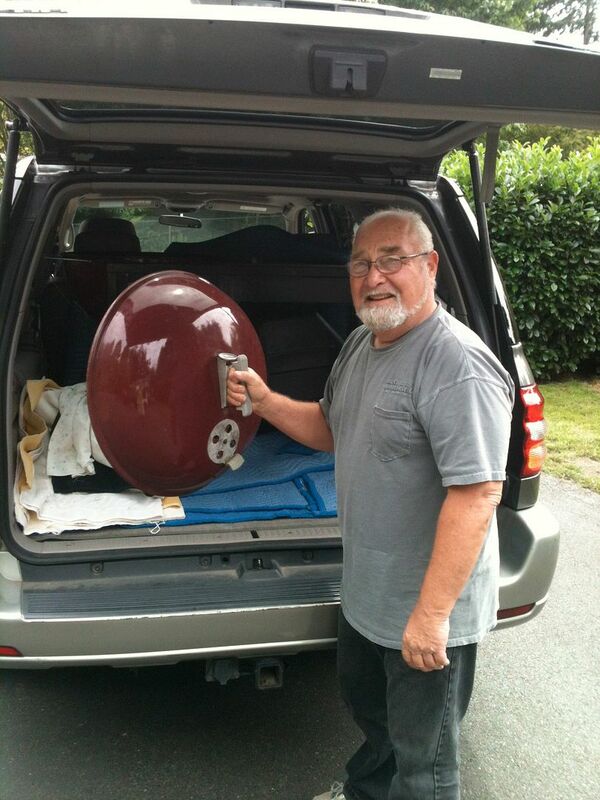 Larry makes the trip North to visit the family-we hook up and @SmokenJoe is in possession of his next Weber project!! @Craig has "every kettle has a story" in his signature - Larry can finish the rest of this story! Nice pick up, looks great! MT next to my RED patent pending. It's certainly an interesting color. 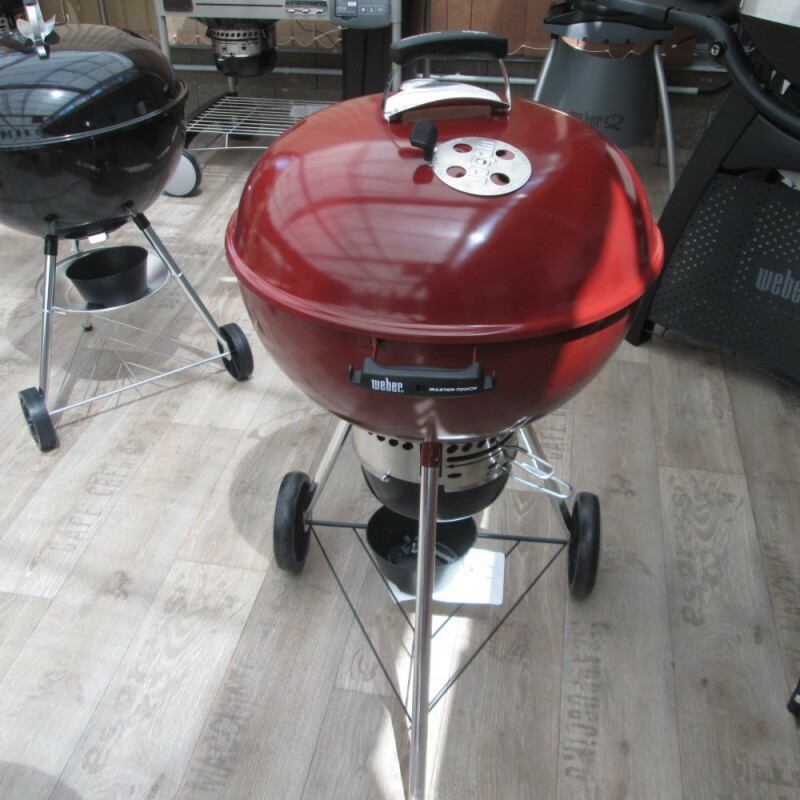 So is plum actually a Weber colour ? Has anyone seen a box with the colour plum on it? 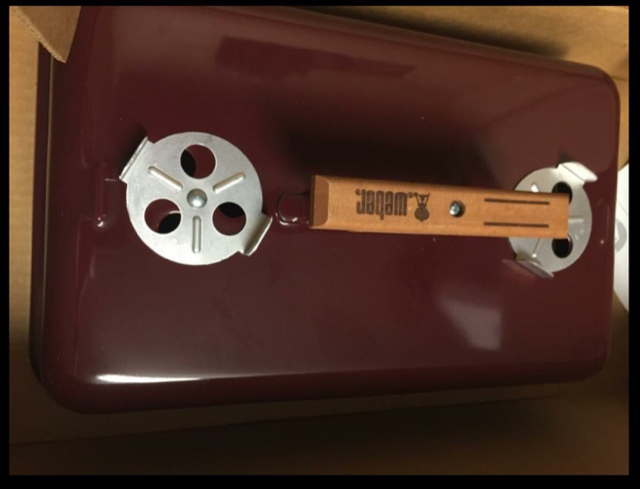 Here's a pic of a Burgundy GA box. Fact! 1) Yes there was a burgundy SSP. In addition to the ones shown in this thread, my brother-in-law has one purchased from a member here. 2) "Plum" is not a nickname for burgundy. It's another rare color only offered a couple of years around that 2000/2001 timeframe. It simply looks dark-purplish, more so than the burgundy. 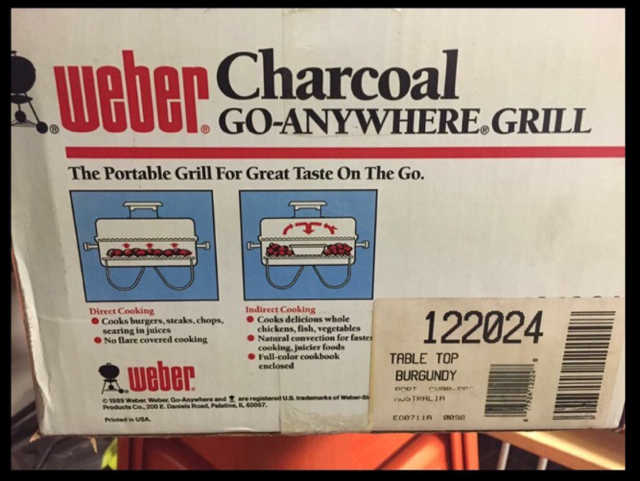 So Plum, Burgundy and Brick Red were all offered by weber at the same time? Has anyone seen a box or have a catalogue that names Plum as a colour? 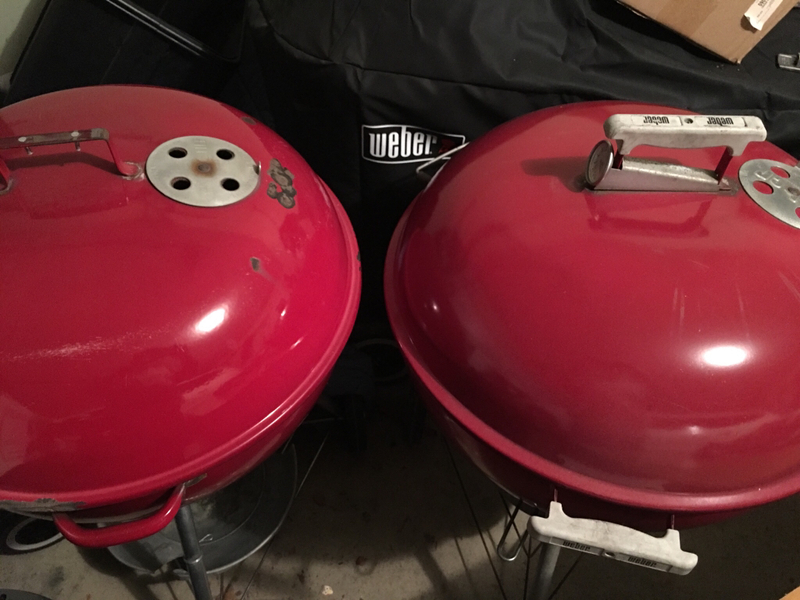 My "Burgundy" (aka Weber "Plum" ) was on my SSP when I picked her up from Brian. Vent code ... EO --> '95. See comparison picture (red vs. Burgundum) above. not a plum! i'd say thats the burgundy color. I have owned 4 kettles as described in pt 2 of this post, over the years. All 4 were the darker "purple" looking colour described as plum by most. 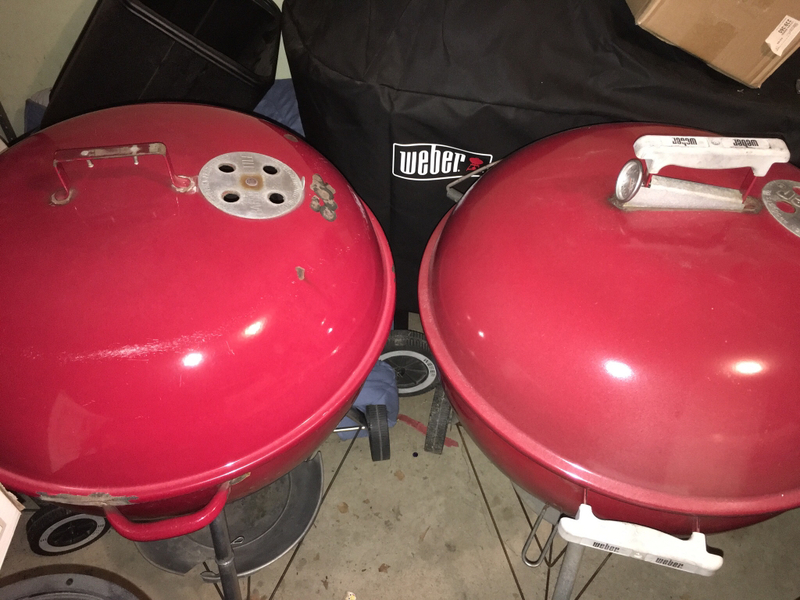 None of them were with an original box so I don't know what the official Weber colour was called. However, what I do know is the date codes on each. "My" DD plum OTP. Looks more purply.